Born in the Philippines, Mrs. Cecilia Maulawin always had a passion for music and sharing her passion with those around her. In her small town of Pakil, Laguna, Mrs. Maulawin was very active in teaching music at the local schools, piano and voice lessons at home, as well as singing and playing the organ at the local church and community events. Such was the life she lived with her husband, four children, relatives and countless friends wherein music always wove itself into much of what she did. However, in early 1974 this life was disrupted when guerillas machine-gunned the Jeep that her husband and father were traveling in on their way home from the barrios. Fortunately, no one was fatally wounded. However, after her husband was shot, Mrs. Maulawin made the decision to travel far in hopes of finding a new home that would provide a better and safer life for her family. Sitting in the immigration office in Manila, the interviewer questioned Cecilia why she wanted to go to Newfoundland. He told her of frozen rain that fell from the sky six months of the year; he told her that there were so many potholes that her false teeth would constantly fall out. However, this didn’t discourage her... and in November of 1974, Cecilia found herself in the beautiful, but cold community of Green’s Harbour. For the first year, Cecilia lived in Newfoundland far from her beloved husband and children while preparations were being made for their arrival in the following years. The fears of being in a foreign land were soon mitigated with the overwhelming kindness she received from her fellow teachers and the community. Cecilia taught at Acreman Elementary, Ridgewood Junior High, St. George’s High School, and Woodland Elementary in the 18 years of her teaching career. She was always someone you could count on when you needed someone to sing or play at various local church services and weddings. In 2009, Cecilia lost her beloved husband, Joe to cancer and in March of 2010 she suffered a stroke. 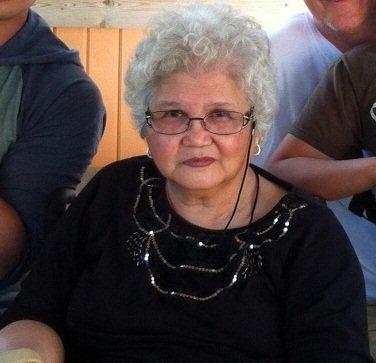 She currently resides at Glenbrook Hospital in St. John's. With her unwavering spirit, Cecilia continues to thrive and is grateful for the continued support and friendship from the community she chose to call her new home many years ago. Being selected as a hero for the Acreman Elementary expansion reaffirms her decision of moving to Newfoundland. Her dedication and her hard work did not go unnoticed by the many lives she has touched and influenced in the community. Craig Shute was a teacher here at Acreman Elementary for many years - over a decade actually. He specialized in math, science, and physical education. He was a beloved teacher who truly had a special touch with the children. Craig was the type of educator who could balance teaching responsibilities, while aslo being a real buddy and friend to each and every student. He had a magical way of getting children to learn without them even realizing it. As a colleague, Craig was loved by all. He was the life of the staff room and was always able to lift a person's spirits in any situation. Craig was also a wonderful family man. He and his wife, Stephanie, had three beautiful and talented children. One son named Brandon, and twin girls, Kristen and Kelsey. Craig was always so proud of them and their accomplishments. Along with family and teaching, Craig was heavily involved in volunteering for many, many years. Some examples of the many organizatiions that held a place in his heart are Canada Games Baseball, The Harbour Grace Boys Club, Young Canada Works Grant, and of course, Cee Bees Minor Hockey. Craig loved hockey and he gave unselfishly to every aspect of it that he could. He always wanted to ensure that every child had the opportunity to join in, be accepted and have fun. Cee Bees Minor Hockey even has an award in his name for Volunteer of the Year, as well as the Craig Shute Memorial U12 Female Invitational . He himself, won countless other awards and honors for his volunteerism and dedication. Craig's teaching career lasted for 23 years. He spent his last few years working at Board office as Numeracy Support Teacher until May 31, 2010 when he suddenly passed away. He was only 47 years old at the time. Without a doubt, Mr. Craig Shute was an absolutely unforgettable and loved human being who left quite a distinct and deep impression on all who have had the pleasure of meeting him. He was very dedicated to the children and encouraged them both in school, and in their everyday activities, to be the best that they could be and to strive for their dreams. ﻿Dr. Frederick Brett was born on June 15, 1921 in Joe Batt's Arm on Fogo Island. At a time when it was not so common for people to move away from their little communities and their families, Fred was inpired to be a part of helping others, and sought his education to fulfill that dream. His original profession was actually that of a school teacher. It was during that time that he met Ruby Kelloway, a young lady from Bonavista, who was also studying to become a teacher. She became his wife in 1952, and before long, they started a family.After teaching for some time, Fred developed further ambitions, leading him to head off to University of Toronto to earn his medical degree. He returned to Newfoundlandfor his first posting: Green's Harbour. But he did not only serve this one community. He was the doctor for communities spanning from Cavendish to Hopeall, and sometimes beyond. Ruby cared not only for Fred and their growing family, but also helped him with his office work, so he could focus more on his work - the care of his patients and dispensing prescriptions Dr. Brett was always on duty– even during his off-hours. It was not unusual for him to spend part of his evening tending to at least one patient, either in his office, or on a house-call. If called late at night, he jumped up, dressed, grabbed his medical bag, and was gone. Sometimes, the patient he was visiting, or who visited him, was of the four-legged variety, as for many years, the nearest animal hospital was in St. John's. So Dr. Brett also acted as community veterinarian. But no matter who it was, human or animal, the priority was always the patient. And of course, as the small-town community doctor, many patients also became friends. 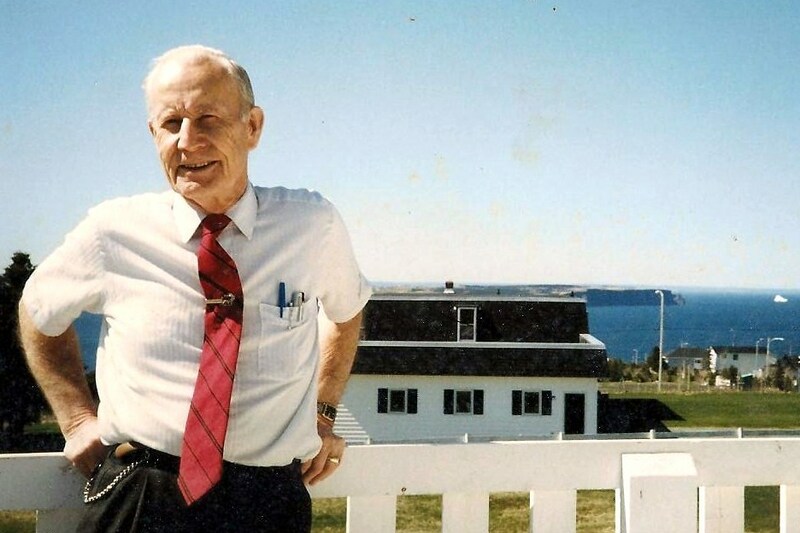 Dr. Brett was the doctor in Green's Harbour and area for 35 years, retiring to the family summer home in St. Philip's at the end of 1990, just a few months before his 70thbirthday. His beloved wife, Ruby, sadly died suddenly from a stroke, only 2 months later. He had lost his best friend of the previous 40+ years, and he seemed not to know quite know what to do for some time. However, he filled his remaining years reading, doing crossword puzzles, focusing on charities such as Foster Parent's Plan, attending church every single Sunday morning, taking long walks in the quiet of St. Philip's, making summer-long visits to his childhood home in Joe Batt's Arm, and during the rest of the year, making nightly visits to St. John's to see a re-found friend, Joyce. She had actually been his first girlfriend when he lived on Fogo Island so many years before. They re-united that first summer after he retired, just happening to meet up on his summer trip to Fogo. At the end of 1996, Fred was in a minor car accident. He suffered a concussion, but seemed to recover well. Not long after, though, it was clear that he was not himself, and within a few months, the family knew that he had developed Alzheimer's Disease. This was, of course, very difficult for all to face, and especially Fred. Remember, he was a thinking man, and also being a medical man, he knew all-too well that Alzheimer's makes thinking clearly very difficult, until finally, in late stages, it becomes impossible. The family cared for him all they could through his last years, while suffering from this terrible disease, keeping him at home to the end, which came when he passed quietly away in June of 2002. Our Peace Garden is dedicated in honor of our Veterans from the communities of Cavendish, Green's Harbour, Hopeall, & Whiteway. Your service and sacrifice have allowed us the freedom we enjoy today. Happy One Month Anniversary, Ridgewood Park!